Ashwin Desai lives in Durban, South Africa. He is the author of We Are the Poors: Community Struggles in Post-Apartheid South Africa (Monthly Review Press). THE COMING to power of the African National Congress (ANC) is now the stuff of political legend. The political kingdom had been conquered and now the work of turning around over 300 years of accumulation through brutal racial dispossession could begin. Nelson Mandela had already signaled this on his release from prison with a commitment to the Freedom Charter. Exactly two weeks after his inauguration on May 10, 1994, Mandela addressed the "liberated" parliament for the first time. Mandela’s speech sparkled with references to the Reconstruction and Development Program (RDP). He had a commandment for every department of his government. Health care shall be accessible in line with the RDP; education shall be affordable; the labor market shall not shed jobs. Mandela went so far as to say that the liberation struggle was meaningless unless the government stuck to people-centered policies. In every way the RDP was the "center piece of what this Government will seek to achieve, the focal point on which our attention will be continuously focused." The RDP was no mere guideline or wish-list. As Mandela himself promised in his maiden speech: "We [will] integrate the objectives of our Reconstruction and Development Plan within government expenditure and not treat them as incidental tasks of government, marginalized to the status of mere additions to the level of expenditure." Taking Mandela at his word, the RDP was the framework for public policy that would put people at the center. Five years later, in his last speech to parliament, Mandela barely mentioned the RDP. When it was mentioned it was no longer an existing, living thing. It was now tellingly an "RDP of the soul." 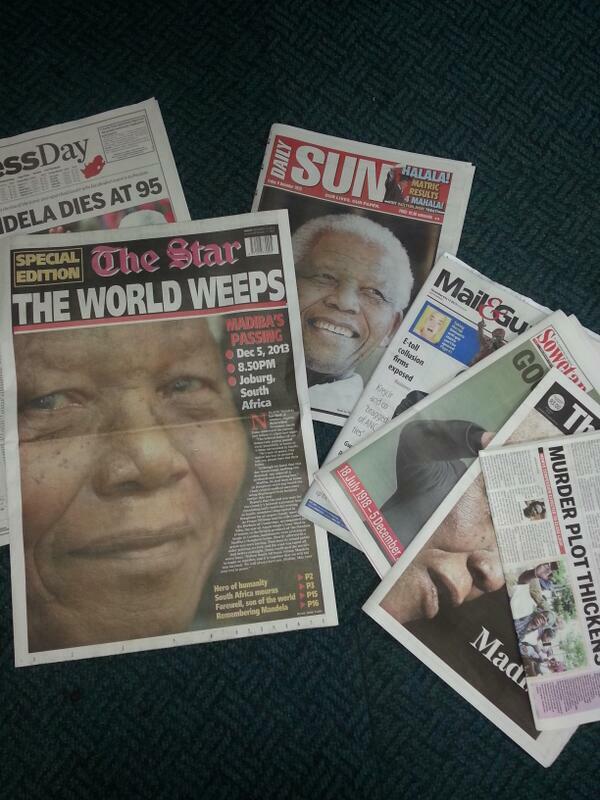 This attempt to get us to internalize the RDP fitted Mandela’s role as father figure perfectly. Like Shakespeare’s Polonius sending his child out into the world with a few useless clichés, we were being turfed out of the family home and told to fend for ourselves. The economist Nicoli Nattrass points out that capital, by restructuring and downsizing their workforces, have increased profitability by some two-thirds between 1990 and 2001, and that productivity and wages for skilled workers have steadily grown. But this has been accompanied by increased unemployment and casualization of labor. There is also a growing gulf between the unionized and better skilled on the one hand, and marginalized South Africans on the other. What is on the increase over the last decade is "atypical" or "non-standard" (temporary, casual, contract, part-time) forms of employment that herald the ubiquity of a relatively unstable, and non-unionized workforce.3 Figures indicate that presently full-time occupations employ little more than 40 percent of the economically active population, which decreases to approximately one-third of the African population.4 Instead of the record profits trickling down, they went to a smaller and smaller group of workers, while considerable amounts were "spirited" out of the country. Social income has also been subject to merciless pressure. Pensions decreased in real terms between 1991 and 2000.7 Inequality has been exacerbated by the lack of state support (like a social wage) with over 13.8 million people in the poorest 40 percent of South Africa’s households not qualifying for any social security transfers.8 At the same time, basic services like transportation have been privatized, water and electricity have been corporatized, and the state has demanded "user fees" for schools, health care, and other services. This in turn has increasingly caused "cost-recovery mechanisms" such as disconnections of water and electricity to occupy the attention and energy of the local state rather than the delivery of new services. Furthermore, neoliberal logic rejects cross-subsidization and insists that each community must, itself, "recover" the full costs of service provision. This means that people previously excluded from these services must carry the full cost of installing new connections. Hence the poor, the Black poor, must pay much more for their services than people in white suburbia. Furthermore, coercive measures to extract payment–disconnections and repossessions of property affected at gunpoint–are disproportionately taken against the weakest people in society, again, the Black poor. People in Khayelitsha have had their property repossessed and their water disconnected for debts as low as 200 rand while no action has been taken against the elite Newlands cricket ground for a debt 200 times larger. And, although it is perfectly possible to avoid all this by getting the rich and corporations to pay more for services and thus cross subsidize the poor, this is not done because these people have the power to lobby effectively for the maintenance of privilege. In this instance, as in many others, the enrichment of the developing Black bourgeoisie is at the direct expense of the poor. Indeed, it is parasitic on the poor. A similar argument could be made about what the ANC calls "Black empowerment" in a wide range of other areas including, for example, the national lottery. The debate around electoral options is of crucial importance. More so given the fact the ANC, under the slogan "A people’s contract to create jobs and end poverty," received more than two-thirds of the support of those who voted in the 2004 election. The only real opposition, in electoral terms, that the ANC faced was from the center-right mainly in the form of the Democratic Alliance (DA). The DA failed to make any gains, hampered by the fact that the ANC has adopted most of its economic policies. What was more significant about the election was the question of de-participation. More and more people, especially the young, are not registering to vote. Some 23.4 percent of registered voters elected not to vote. If one takes into consideration the number of voters eligible to vote who chose not to register, the percentage shoots up to 42.29 percent. The ANC garnered 39.5 percent of the vote in an election in which one in four eligible voters chose not to register and close to one in four registered voters chose not to vote. In South Africa, where parliament and the mechanisms that it has elaborated have great legitimacy, these figures are significant. They reinforced how vital social movements are in an environment of one-party dominance–a party which has come to see participation as a once in five years moment of casting a vote. It is the social movements that challenge the government not just on delivery of resources but on the very economic paradigm it seeks to implement while also serving as vehicles for ongoing participation and debate. Whatever the shortcomings of these social movements, and the lack of clarity on how to deal with the challenges they face, at the very least they have not meekly handed Mbeki the emperor’s crown. The trajectory has been set for the next decade. The ANC will purport to represent the will of the nation. Public participation will be limited to elections. Politicians will, through the absence of a constituency system, be removed from the people and its attendant pressures and accountabilities. The bottom 40 percent of society’s position will worsen. A Black elite will link with white capital into international circuits of money making. A Black middle class will consolidate. An emergent ideology of getting "filthy rich," to borrow from the phrase used by the then-Deputy Minister of Trade and Industry Phumzile Mlambo-Ngcuka, will become "common sense." The ANC seeks to win consent for its armed extraction of wealth from the poor by the twin ideological strategies of the particular discourses of nationalism with their demand for obedience to the leaders and the party, and the universal discourses of neoliberalism with their demand for obedience to the market. Sometimes they are combined in novel ways like the government’s Masakhane campaign that claims, in the language of Ubuntu (humanism) and in the context of entrenched and worsening unemployment and poverty, that the good person is the person who pays for services. It is done in an ideological context of neoliberalism where the problem of the poor is the poor themselves. The state will see itself hemmed in by those class forces and the claim that it cannot challenge the dominant global paradigm. This trend had an early start with Mbeki claiming that the transformation of South Africa cannot "elaborate solutions which are in discord with the rest of the world…which can be sustained by virtue of a voluntarist South African experiment of a special type, a world of anti-apartheid campaigners, who, out of loyalty to us, would support and sustain such voluntarism." What has been the response to the ANC’s embrace of a homegrown structural adjustment program? While xenophobia, vigilantism, and gangs are on the rise, so also a new progressive resistance has emerged. The TAC has fought a heroic struggle to deliver antiretrovirals callously denied by the ANC; expose the rapacity of pharmaceutical firms; brought to the local level the inspiring examples of the global challenge to patents; linked legal battles with mass mobilization; and opened the possibilities of both engaging and confronting the state. Jubilee South Africa has moved beyond the limitations of the Truth and Reconciliation Commission, highlighting the "blood money" of those who did business with apartheid South Africa, and opening the possibilities of solidarity with U.S. progressive groupings. Organizations like the Anti-Privatization Forum (APF) have tunneled into the underside of the transition and built a culture of resistance to evictions and electricity and water disconnections. It is environmental organizations that have upped the ante on the destruction of the Wild Coast and the oil companies that give us cancer and asthma and in the process exposed the limitations to the constitution and the collusion between the state and capital. The Landless Peoples Movement (LPM) has led the way in revealing how a "willing seller-willing buyer" approach has facilitated bias towards the creation of a class of commercial Black agriculturalists at the expense of the rural poor. And there are signs that the great poetry makers of the 1970s and 1980s, the once independent trade union movement, unable to stem the tide of retrenchments, are albeit hesitatingly linking up with the emergent movements of the new century. The Congress of South African Trade Unions (COSATU) has supported TAC to the wrath of the ANC leadership. The APF has supported the 2003 casual workers’ strike at Shoprite Checkers. Trevor Ngwane, the then-secretary of the APF, reflecting on the strike wrote of how the "strike reinforced the link between struggles at home and struggles at work. At work, the working class is faced with retrenchments, starvation wages and casualization. At home they are faced with water and electricity disconnections, evictions, poor health care and expensive education." Are these just moments of solidarity, soon forgotten, in the posturing between the leadership of COSATU and social movements or are they harbingers of things to come? There is also another significant shift in the orientation of community and social movements. In the initial few years, social movements eschewed a universalist discourse and concentrated on fighting local and/or single issues. In the build-up to the World Summit on Sustainable Development (WSSD) in August 2002, Indymedia South Africa captured this mood in its support for a march onto Sandton where the conference was headquartered. Their statement not only railed against the neoliberal turn of the ANC but also the Left that has "systematically tried to recruit social movements’ politics for the pursuit of political agendas that developed entirely above their heads: national liberation, the party of the working class, sustainable development, international workshops." Since that time, a vigorous debate has ensued around organizing around single issues and the emphasis on "militant particularisms" and the need to congeal more coordinated national campaigns. As national linkages have emerged and the ongoing reach and power of the social movements has increased, so have movements started to articulate a more universalist discourse. This is reflected in the response to the 2004 national elections by the APF, one of the strongest movements based in the mining and manufacturing heartland of Gauteng, South Africa. While social movements have taken the ANC to court over the provision of antiretrovirals, reconnected people’s water and electricity, fought evictions, and built international linkages, they have also started to raise the language of an alternative political system to the ANC’s neoliberalism. As a recent banner at a social movements workshop put it: "Socialism or neoliberalism. Socialism or the ANC." 1 Thabo Mbeki’s address to the SA-USA Business and Finance Forum in New York. September 23, 1999. Quoted in Hein Marais, "The Logic of Expediency: Post-Apartheid Shifts in Macro-Economic Policy," in Sean Jacobs and Richard Calland, eds., Thabo Mbeki’s World (Pietermaritzburg: University of Natal Press, 2002), 90. 2 Quoted in Allister Sparks, Beyond the Miracle: Inside the New South Africa (Chicago: University of Chicago Press, 2003), 16. 3 Tom Bramble and Franco Barchiesi, eds., Rethinking the Labour Movement in the "New South Africa" (England: Ashgate Publishing, 2003). 4 "Infrastructure Delivery Report 2000,"National Economic Development and Labour Council, available online at http://www.nedlac.org.za/. 5 Glenda Daniels, "New Survey Puts SA Jobless Rate at 45 Percent," Mail and Guardian, March 1, 2002. 6 "Warning of Jobs Bloodbath," Mail and Guardian, August 8, 2003. 7 Tom Lodge, Politics in South Africa: From Mandela to Mbeki (Bloomington, IN: Indiana University Press, 2003), 67—69. 8 Neil Coleman and Fiona Tregenna, "Thinking BIG…The Proposed Basic Income Grant for South Africa," South Africa Labour Bulletin, April 2002, 25. 9 David McDonald, "Privatizing Cape Town: Service Delivery and Policy Reforms Since 1996,"Occasional Papers No. 7, Municipal Services Project, 2002, 1. 10 Franz Fanon, The Wretched of the Earth (England: Penguin Books, 1976), 122. 12 Patrick Bond, The Limits to Water Commodification in South Africa (unpublished, 2003), 5. 13 Quoted in Neville Alexander, An Ordinary Country: Issues in the Transition From Apartheid to Democracy in South Africa (Oxford, UK: Berghahn Books, 2003), 163. 14 On April 19, 2001, a group of 39 pharmaceutical companies in the PMA, under an extremely high amount of international pressure, dropped its lawsuit against the government of South Africa and TAC. They had taken South Africa to court over its Medicines and Related Substances Act. The main issue was Amendment 15(c) that would allow compulsory licensing and parallel imports of medicines in South Africa. TAC is a non-profit grassroots organization that campaigns for people with HIV/AIDS. 15 President Thabo Mbeki has questioned whether HIV causes AIDS, played up the toxic side-effects of AZT (an AIDS drug), and dragged his feet on a plan to distribute generic drugs that could prevent 1.7 million South African deaths by 2010. 16 Nicoli Nattrass, The Moral Economy of AIDS in South Africa (Cambridge, UK: Cambridge University Press, 2004), 53. 17 Quoted in "‘Casual’ Threat to Labor," Mail and Guardian, March 12, 2004. 18 Quoted in This Day, February 9, 2004. 19 "APF Platform on National Elections," APF press statement, February 2004, available online at http://www.apf.org.za/htm/2004update1/ep.html.